"Your entrance into literature was swift and turbulent. I'm glad I've lived to see it," Boris Pasternak wrote to a 14-year old youngster who had sent him his early verses asking for the great poet's opinion. Starting with his poem Masters, Andrey Voznesensky' poetry burst into the poetic environment of contemporary life winning the praise of millions of readers. Since then, he published numerous collections, including The Triangular Pear, Antiworlds, Stained-glass Master, and Violoncello Oakleaf. His more recent creations are Videoms and Fortune Telling by the Book. Some of his works were turned into theater productions, like Antiuworlds and Save your Faces at the Taganka Theater, Juno and Avos at the Lenkom Theater and some others both in Russia and abroad. Voznescnsky's poetry is experimental in many ways, always novel and on the cutting edge of creative endeavors. His works are an original synthesis of deep lyricism and profound philosophical concepts, musical and sounding like a powerful warning bell at the same time. There was period in Voznescnsky's life when he was severely criticized by Soviet leaders, including Khrushchev himself. He was even threatened with deportation from Russia, after which his works were banned from publishing for years. Andrey Voznesensky, an architect by education, has been developing a new genre, visual poetry. His Videoms were successfully exhibited at the Moscow Pushkin Museum of Fine Arts, as well as in Paris, New York, in Berlin. He was elected the member of eight Academies in different countries of the world, including Russian Academy of Education, American Academy of Art and Literature, The Goncourt Brothers Academy in Paris, and the European Academy of Poetry. The poet has always striven for a synthesis of arts combining his readings with music and demonstration of his new videom genre. He does his poetry readings in many cities all over the world. During the Days of Triumph in Paris in 1996, Le Nouvel Observateour called him "the greatest poet of our time". In his capacity as Vice-President of the Russian PEN Center, Voznesensky is active in the promotion of young poets' readings. He has also put lot of effort in creating Pasternak's museum in Peredelkino. Andrei Voznesensky, Russia's foremost modern poet, was born in Moscow on May 12, 1933. Part of his early childhood was spent in the ancient Russian city of Vladimir. During the war, from 1941 to 1944, he lived with his mother in Kurgan, in the Urals, while his father, a professor of engineering in peacetime, was in Leningrad, engaged in evacuating factories during the blockade. Both Voznesensky's parents have literary and artistic interests. His mother read poetry to him from his earliest childhood - Severyanin and Pasternak, he remembers in particular. Voznesensky recalls seeing his father once during the war when he flew to Kurgan on leave from the front. He carried nothing with him but a small rucksack containing some food and a little book of reproductions of etchings by Goya which powerfully affected his small son. Voznesensky's childhood apprehension of war in Russia, heightened by Goya's gro tesque and terrible visions, ultimately gave rise to his most famous poem, "I Am Goya." After the war the family returned to Moscow. As an adolescent, Voznesensky thought of becoming an artist. Then he studied architecture. "I was already writing," he says, "but mainly I painted. Yet poetry was flowing in me like a river under the ice." Shortly before his graduation from the Moscow Architectural Institute in 1957, an event occurred which is the subject of the poem "Fire in the Architectural Institute." Like other senior students, Voznesensky had spent his last year on an elaborate design project, which he describes, with all due modesty, as "a spiral-shaped thing, a bit like the Guggenheim Museum." "One morning," he says, "we found that a fire had destroyed a year's work. Whole districts and cities on blueprints had vanished. We were so tired that we were glad that final examinations had to be postponed. But for me it was more than a fire. I believe in symbols. I understood that architecture was burned out in me. I became a poet." Voznesensky's interest in painting and architecture is seen in all his poetry, most explicitly in his choice of themes and images. In "Master Craftsmen" he invokes the legend that Barma, the architect of St. Basil's Cathedral in Moscow, was I blinded by Ivan the Terrible so that he might never again design anything as beautiful. Architectural images predominate in a number of his poems, such as "The Torches of Florence" and "Italian Garage." "New York Airport at Night" is one sustained metaphor of the airport as the self-portrait of the poet. Certainly the decisive event in Voznesensky's life came soon after his abandonment of architecture. This was his meeting with Boris Pasternak. He sent his first poems to Pasternak, who replied with a letter of praise and an invitation to visit him. "From that time on I never left his side," he has said. "I moved out to Peredelkino and stayed near him till his death.... He was my only master." Friends or girl friends or blades of grass, Instead of us this one or that one will come: Nature abhors a vacuum. "It was then [that is, during World War I] that falsehood came into our Russian land. The great misfortune, the root of all evil to come, was the loss of faith in the value of personal opinions. People imagined that it was all out of date to follow their own moral sense, that they must all sing the same tune in chorus, and live by other people's notions, the notions which were being crammed down everybody's throat. And there arose the power of the glittering phrase, first czarist, then revolutionary." Pasternak's celebration of individual values, his passionate insistence on the right of privacy, and his exaltation of the life of the heart provided the moral climate, above the miasma of Stalinism, in which Russian literature was revived and restored in the post-Stalin period. Moreover, Pasternak's forty-seven years of creative work, from 1913 to 1960, bridging, as it does, the sterile years of Stalinism, have provided a point of departure from which Voznesensky and other young poets and writers have been able to proceed to their principal task: to resurrect the language which had been corrupted by the "power of the glittering phrase." Not only were such abstract nouns as "freedom," "justice," and "truth" debased, but the language of life itself was extinguished; this is perhaps one of the most terrible of the indictments contained in Dr. Zhivago. It is in this context that Voznesensky's immense popularity, inconceivable in the West for a "serious" modern poet, may be fully understood. If 14,000 people congregated (as they did in 1962) in a sports stadium to hear Voznesensky read his poetry, or 500,000 subscribed to buy a book of his poetry (An Achilles Heart), it is because countless Russians have ceased to attend to the "glittering phrase," turning instead to the language of symbol and fantasy for the truths they seek. One result has been the rage for poetry readings which seized Russia in the post-Stalin decade. Until the crackdown of 1963 severely curtailed poetry readings, these had become the principal entertainment of intellectuals and students in Moscow, and in provincial cities, where poets went by the truckload. The encounter of poet and public in Russia is a moving spectacle. Voznesensky, in particular, has made of the art of recitation something like an act of communion. At first sight, however, Voznesensky's presence on stage is not overwhelming. An awkward figure, slight and singularly vulnerable, he stands before the microphone with his legs stifflyy apart, his Adam's apple bobbing, bearing the applause and the shouts of acclaim as if they were blows. Then he will recite from memory for an hour or two, with hardly a pause, in a powerful, cultivated voice. His awkwardness vanishes; now it is his lis teners who appear tense, straining forward to capture the flow of a language unheard of in Russia until now. Most will have brought copies of his books, which they will follow, like music scores. When reading these lines, Voznesensky's voice, while it does not seek to imitate a woman's, is pitched, with uncanny effect, to an extremity of rage. Here in the contrast between the slight, and rather modest, private person of Voznesensky and his commanding public presence, one glimpses the nature of his truest debt to Pasternak: a sense of the poet as prophet. "The poet is two people," Voznesensky has said. "One is an insignificant person, leading the most insignificant of lives. But behind him, like an echo, is the other person who writes poetry. Sometimes the two coexist. Sometimes they collide; this is why certain poets have had tragic ends. Often the real man has no idea what path or what action the other will take. That other man is the prophet who is in every poet.... When a man writes he feels his prophetic mission in the world. The task of the Russian poet today is to look deep inside man. When I read my poetry to a great number of people, their emotional, almost sensual expression of feeling seems to me to reveal the soul of man - now no longer hidden behind closed shutters, but wide open like a woman who has just been kissed." Voznesensky's popularity has made him enemies in the literary and political establishment. The hacks who built their careers on writing odes to Stalin now feel threatened when huge printings of Voznesensky's books sell out in a single day, while their own books molder away unsold in the bookstores. The bureaucrats, whose careers and tastes were formed by Stalin, are scarcely more attuned to Voznesensky and other modern poets; their authority is undermined, they feel, when people are seen to respond with more enthusiasm to poetry than to agit-prop. 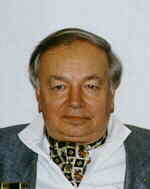 Conservative critics often accuse Voznesensky of "formalism" (experimentalism) and ambiguity. To the first charge he answered, in his poem "Evening on the Building Site": "They nag me about 'formalism.' / Experts, what a distance / You are from life! Formalin: / You stink of it, and incense." And again in "Antiworlds," he wrote: "Ah, my critics; how I love them. / Upon the neck of the keenest of them, / Fragrant and bald as fresh-baked bread, / There shines a perfect antihead..." To the charge of ambiguity, he replied in "Who Are We? ": I am myself / Among avalanches, like the Abominable / Snowman, absolutely elusive." Criticism of Voznesensky mounted, in most menacing fashion, in 1963, during the vast official campaign against Russia's liberal-minded modernist writers and artists. The campaign was launched by Khrushchev at the now famous Manege exhibition of modern art, where he denounced the painters in a torrent of scatological abuse and equated their work with homosexuality - "and for that," he said, "you can get ten years." Khrushchev's fury turned quickly to the writers, whom he abused in much the same terms he used against the painters, at closed meetings held between government leaders and writers, artists, and other intellectuals. In its public aspect, the campaign raged for seven months in the press, and at writers' meetings held all over the country where Stalinist mediocrities proceeded to vent their pent-up anger and jealousy on nearly every young writer who had received public acclaim during the last years - particularly Voznesensky and Evtushenko. They called for an end to the editions of 100,000 copies, the favorable reviews, and the trips abroad for writers who, they claimed, flout Party opinion and play the game of Western bourgeois ideologists ("with one foot on Gorky Street and the other on Broadway") in their "rotten, overpraised, unrealistic, smelly writings." The campaign petered out in late June of 1963. It had failed utterly in its objective to cow the writers and humiliate them before the nation, and to re-establish controls, on the Stalinist model, over literature. The writers had clearly won a moral victory. The authorities had to settle for an undeclared truce with the liberal writers which has been maintained (with some grave lapses) during the first two years of the post-Khrushchev era. The writers who were under fire in 1963 gradually reappeared in print, and poetry readings were resumed, but by no means on the same scale as before. You gave me your breath and your breath was air. Among his most affecting poems are a group suffused with the raging pain of that period. Among these are "Self-Portrait," "Give Me Peace," "My Achilles Heart," "The Ballad of Pain," and "The Monologue of Marilyn Monroe." (The last two poems are not included in this collection.) Most of these poems appeared, however, a year or two after the campaign against Voznesensky. His first major poem to be published after the campaign was "Longjumeau" (Pravda, October 13, 1963), a tribute to Lenin. Longjumeau was the Party school near Paris associated with Lenin. While the subject is, of course, eminently "acceptable," and the poet is extremely respectful of Lenin, he is by no means sycophantic. Moreover, the poem shows clearly that Voznesensky was not disposed to yield in any way to criticism of his use of language. "Longjumeau" overs splendid examples of his inventiveness in this regard: he has Lenin, while playing a Russian form of skittles (gorodki), throw a stick and smash "empires, / churches, future Berias" (tak chto vdrebezgi imperii, / tserkvi, budushchie berii). Bold and startling in its play with the grimmest of names, imperii-berii is also characteristic of Voznesensky's semantic exploitation of rhyme, as opposed to purely phonetic rhyming: Beria had, of course, an empire himself. Another instance of his use of this "rich" sort of rhyme was singled out by the writer Samuil Marshak in a posthumously published article (Novy mir, No. 9, 1965) on the work of young Russian poets. This is the rhyme vayateli (sculptors) and voiteli (warriors) in "Master Craftsmen," a poem about embattled artists. Such rhymes, besides being ingenious phonetically, reinforce the whole meaning of the poem. In general, Voznesensky stands out among the other young poets in the Soviet Union for the resourcefulness with which he handles language. Probably none has a greater range than he. Together with Evtushenko, he has pioneered the emancipation of Russian poetic language from the restriction from which it has long suftered and given back to it something of the freedom which it enjoyed in the twenties. Where necessary for his poetic purposes, he never hesitates to introduce slang, neologisms, and the jargon of modern technology. In "Oza" he complains that his "throat is sore from technical terms." However, his use of slang and technical jargon is for the most part very disciplined. There is no question of his using this language, as lesser poets sometimes do, to flaunt his "emancipation," to indulge in the tiresome shock effects which are all too common during the sort of poetic revolution which is going on in Russia at the moment. If he chooses an unusual word or expression, it is not for its own sake, but because he thinks it is best suited to th e achievement of a particular effect. A characteristic device is his sudden, unexpected use of a slang word to bring about an abrupt change of emotional pitch. There is a good example in "Hunting a Hare": The almost unbearable tension that the hunters feel at the end of the chase, the sense of mystic awe which the death of the hare induces in them, is suddenly broken - only to be strangely heightened - by the comment of one of the hunters in the cynical language of the criminal and the police interrogator: okhmuryaet (roughly: "He's putting it on"). Another good example of a startling change of key in a solemn context is in "Autumn in Sigulda," where, speaking of his own tombstone, the poet uses the word bul'dik, which is adolescent slang for a lump of rock. Voznesensky's use of words out of their normal context can be playful and ironical in a way which does not always please his critics. A case in point is the deliberately anachronistic introduction of the term stroitel'stvo (literally, "construction," in Soviet political rhetoric: e.g., "the construction of communism") in his poem "The Skull Ballad," which relates to the time of Peter the Great (see the note on this poem) . His rhymes, too, sometimes suggest a lack of piety which creates a feeling of Unease, as it is no doubt intended to, among the strait-laced, right-minded citizens whom Voznesensky likes to tease (as in "Wall of Death," where he brackets them with Vestal Virgins). The names of venerable figures (not excluding Lenin) and awe-inspiring institutions are quite likely to be rhymed impishly with some apparent1y incongruous colloquialism. In "Oza," for example, the famous Soviet atomic research station in Dubna is rhymed with the slang phrase for "kicking the bucket" (ne dam ya duba... Dubna). This, needless to say, implies no disrespect for Dubna, but only disdain for pomposity and literal-mindedness. Apart from his superb mastery of contemporary Russian idiom, Voznesensky also brings to his craft an impressive knowledge of his native poetic tradition. His own original manner is enhanced by an easy familiarity with Mayakovsky and Pasternak, both of whom have influenced him, as well as with the classical Russian heritage. In "Oza" particularly there are echoes of Pushkin, Lermontov, and Blok. His wide linguistic range is matched by the thematic variety of his work. The present collection has been divided into eight sections. The first seven group together poems that are more or less akin to each other. The eighth section consists of seven of Voznesensky's most recently published poems. Part 1: "I Am Goya" consists of work in which the poet focuses his attention on war, death, violence, and injustice. Here his vision of the world, like that of Goya, is haunted and horror-struck. Sometimes he speaks of his own anguished state (as in "My Achilles Heart"), but more generally, as in "Someone Is Beating a Woman," he is concerned with the plight of other people. In "The Skull Ballad" and "The Cashier" there is an attempt to generalize in allegorical form about the human condition. He seems to be saying that the world lies in evil and that man is a deaf-mute, like the hapless invalids in the store beating hopelessly against the glass-protected cashier's cubicle: "Drumming of knuckle and palm / On the glass plate; / So bellowed the psalm / Of my dumb fate." In "Hunting a Hare" the pursuit of a dumb animal is made into a symbol of blind and unmotivated cruelty: "The urge to kill, like the urge to beget, / Is blind and sinister..." Yet in all this there is no absolute despair, and sometimes even a hint of possible redemption: people can be touched or moved by the evil they see done, or even by the evil they do themselves. The poet has been attacked by some of his Soviet critics for dwelling on the "immutability" of human nature (see the note on "The Skull Ballad"), but what he rejects is only a facile and complacent belief in progress, not the idea of progress itself. The last poem in this group, "Sketch for a Poem," one of Voznesensky's most recent works, is a surrealist vision in which a number of the poet's preoccupations - the plight of women, the precarious nature of existence, the Protean quality of life - are thrown into nightmarish relief. Part 2: "Give Me Peace" consists of poems of a more intimate and personal kind in which the dominant note is that of retreat, even escape, into love and nature. Some of them, as explained earlier, are closely connected with his own personal difficulties in the past few years ("Dead Still" and "Give Me Peace"), but the general sense binding all these poems together is the supreme value attached to personal relations, and the ultimate primacy of nature over history and the doings of men. If love is salvation and a refuge, to be deprived of it is the greatest misfortune and one which holds the most terror for the poet, hence the melancholy counterpoint to the comparative serenity of "Dead Still," "Bicycles," and "Give Me Peace" in "Autumn," "First Frost," and "You sit, pregnant and pale..." where the miseries of loneliness, separation, and abandonment are shown in all their unrelievable bleakness. Part 3: "Who Are We?" has as its unifying theme the problem of identifying oneself and others, the ambiguity and deceptiveness of outward appearances, the difficulty of finding one's bearings in life. "Foggy Street" gives an idea, through the appropriate image of a world shrouded in fog, of the confused notion we have even of people we think we know well. In "Who Are We?" the poet proclaims the elusiveness of his own personality, and in "Antiworlds," borrowing the concept of "anti-matter" from modern physics, he talks in a half-comic, half-serious vein of the possibility of assuming other identities or of communicating with one's "double" in the "antiworld." Part 4: "The Parabola" is concerned with the fate and role of the artist. In "The Torches of Florence" and "Fire in the Architectural Institute," Voznesensky touches rather selfdeprecatingly on some of the vicissitudes of his own career, but in most of the poems, particularly "Leaves and Roots," "Master Craftsmen," and "Parabolic Ballad," he treats more seriously of the artist's historical calling as prophet, rebel, witness, and martyr. To illustrate his theme, he ranges through several countries, mainly Russia, but also Italy and Georgia. Part 5: "The Triangular Pear" shows the poet's preoccupation with certain aspects of the modern world, his ambivalent feelings about its technology and its hectic tempo, which both enthrall and disturb him. Most of this group of poems were written under the influence of the impressions he gained during his journey to America in 1961. Part 6: "I'm a Family of Seven" is a miscellany of poems in a lighter vein, sometimes humorous, or whimsical. Part 7: "Oza" is the poet's most ambitious work, in which he attempts to give a more elaborate statement of his view of the world. Despite the bewildering complexity of the poem's structure, its alternation of prose and verse, and its abrupt changes in mood ranging from the lyrical to the satirical (with elements of mystification and parody), the work nonetheless has certain unifying threads. One is the chronicle of an ill- starred secret love affair. Never wholly abandoning this crucial personal theme, the poet moves from time to time to a speculative plane, expressing ideas on the state of the world in general, the history of his country, and man's condition. He is at once fascinated and repelled by modern technology, which is personified by the cyclotron and its master (who appears as the Scientist or the Toastmaster) . On this theme, the poem in Section XII is most explicit: "All progress is retrogression / If the process breaks man down." In "Oza," as in many of his other poems, Voznesensky is engaged in a defense of love and of the free human spirit against "pseudo-progress" and the "god-damned machine," which, when it gets into the hands of the soul-less and heartless, begets oppression. Here, it is the poet who comes forward as the essential guardian of human values. The translation of Voznesensky's work presents the usual difficulties of interpreting the whole complex of cultural references, even of everyday sights and sounds, a knowledge of which the poet takes for granted in his native audience, but which are unfamiliar or at best exotic to an audience rooted in a different tradition. It would be unrealistic not to admit that all translation, particularly of poetry, is to a certain extent doomed to failure, except when it deals with the abstractions of science or the international commonplaces of journalism. The peculiar flavor of the original can never, of course, be rendered, but meaning and imagery, if not the wealth of associations and allusions of the original, can survive the crashing of the language barrier. This collection, apart from being an attempt to present the work of a young Russian poet who speaks with particular urgency to the world at large, is something of an experiment in verse translation. The six American poets who contributed to this volume made their versions in close collaboration with Max Hayward. They have tried to convey, in the terms of their own poetic idiom and vision, the essence of what Voznesensky says in Russian to his compatriots. This bilingual edition includes (in Part 8: "The Fifth Ace") seven poems published in the Soviet Union late in 1966 in a collection of Voznesensky's work entitled Akhillesovo serdtse (An Achilles Heart). All the translations were made by Stanley Kunitz in collaboration with Vera Dunham.